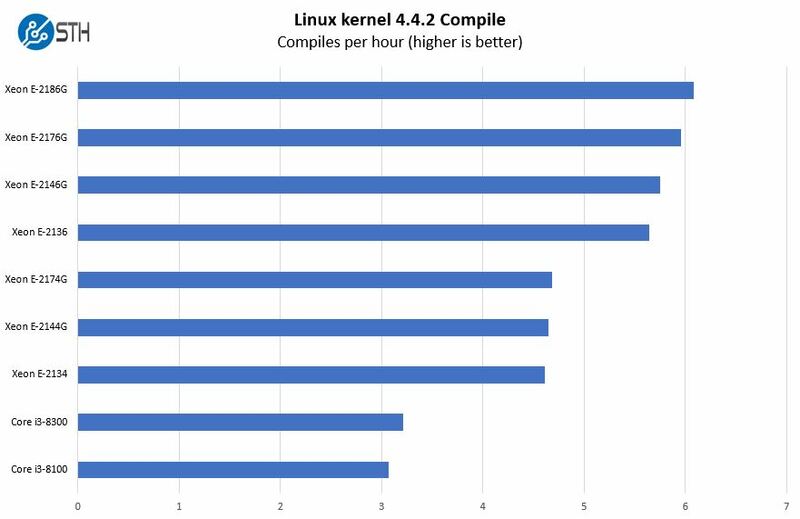 Key here is that the big performance value driver is the core count and thread count. That produces a step function of performance. If you are looking for a low cost 1-4 hard drive storage system, the Intel Core i3-8100 is a great pick. 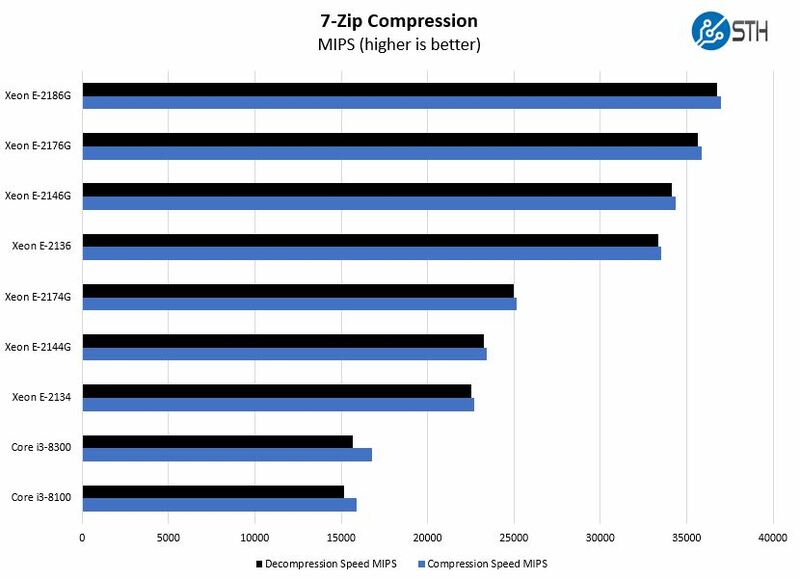 Compression is a major performance component in the class of systems like the Dell EMC PowerEdge T140. 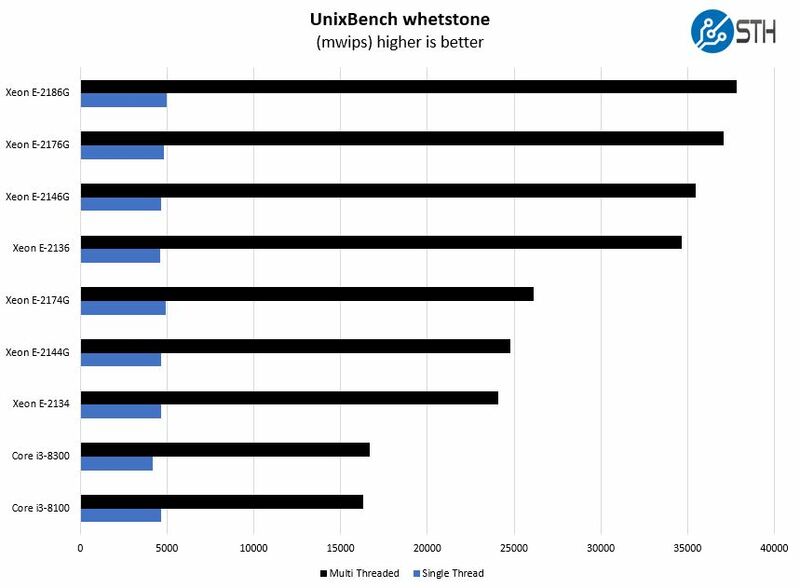 Here the more cores, threads, and higher clock speeds you have, the better compression scales. 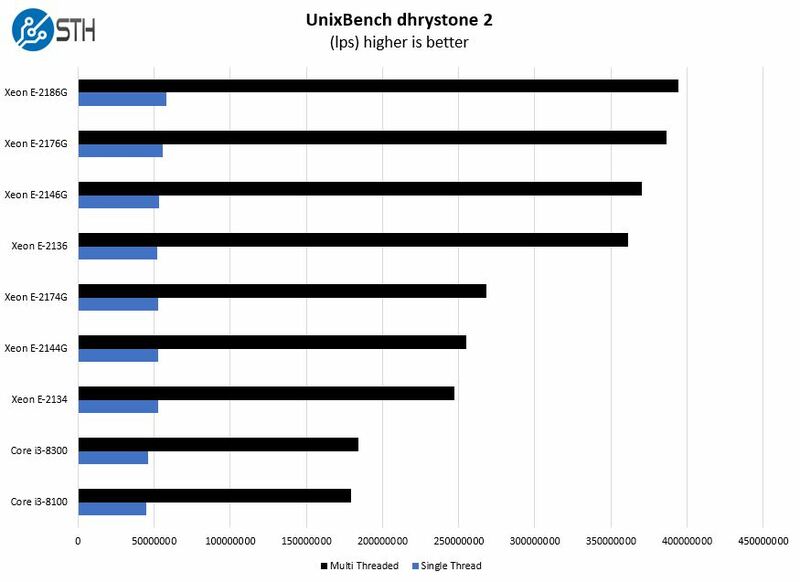 While we are showing differences between SKUs in terms of CPU performance, another aspect includes integrated GPUs. 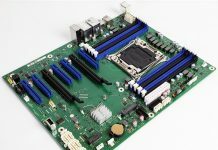 Both Intel Xeon E-21xxG parts and the Intel Core i3-8000 series parts have integrated GPUs. 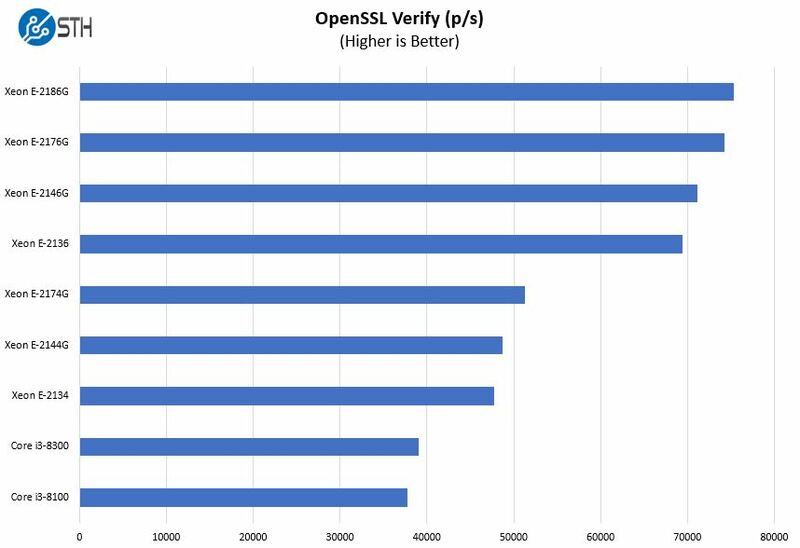 OpenSSL is a foundational technology for the web and many servers like the Dell EMC PowerEdge T140 will act as local web application servers. 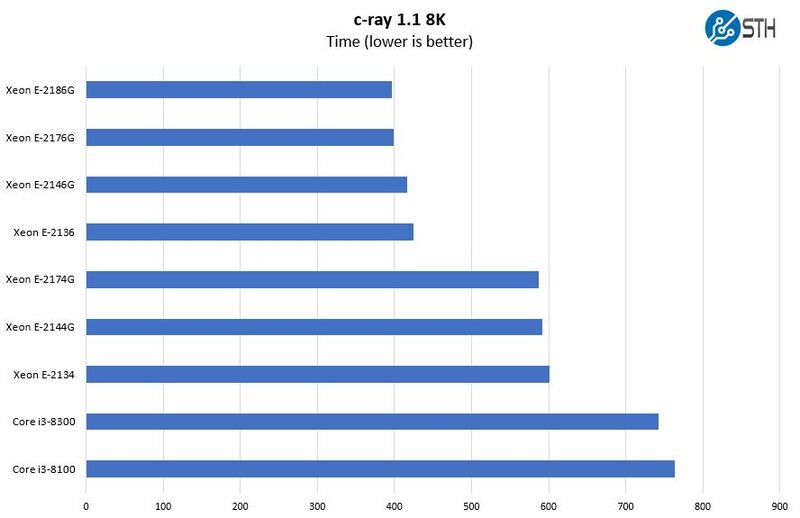 If you were to compare the Intel Xeon E-2136 to the Xeon E-2174G the former is less expensive but considerably faster due to having more cores. 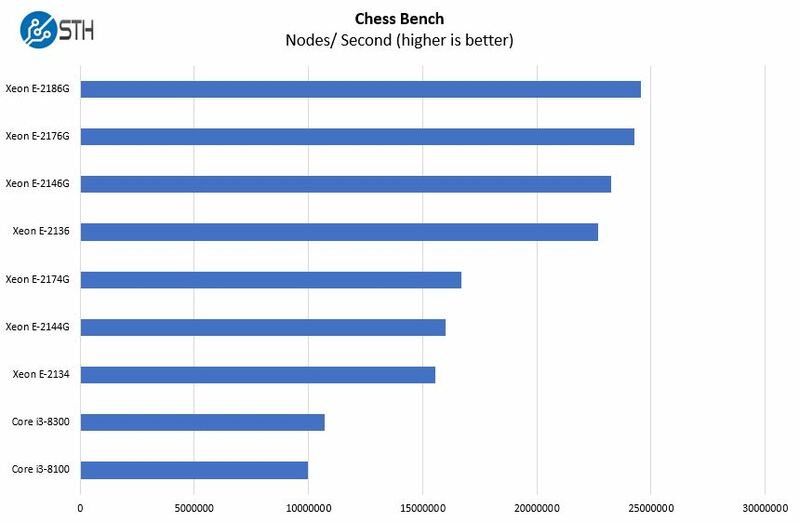 The Intel naming conventions are not necessarily in numerical performance order. 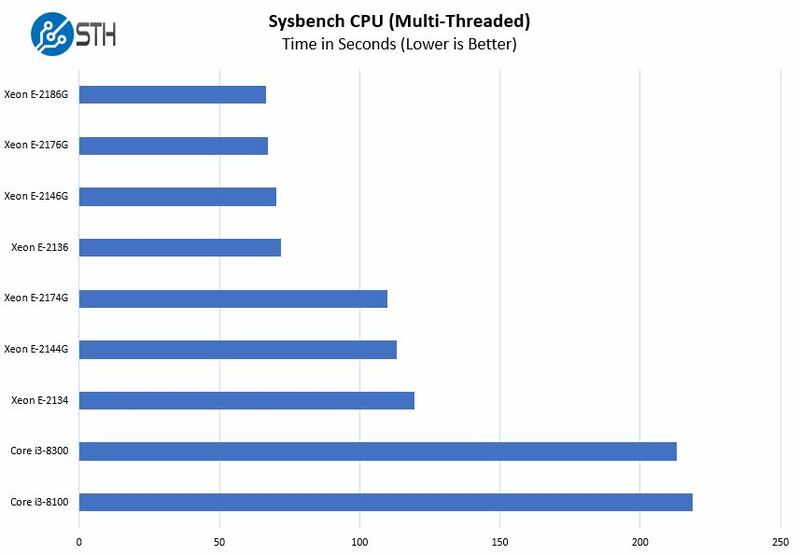 Single threaded performance on all of these parts is significantly better than some of the lower power options. 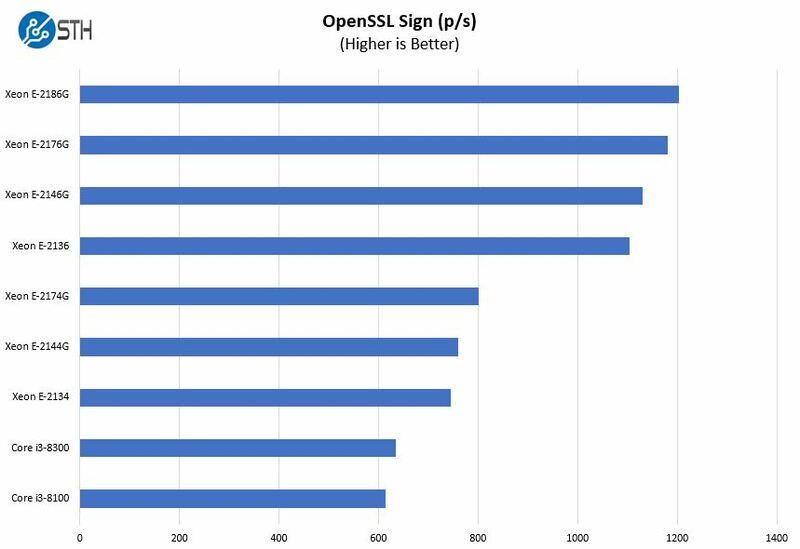 If you look at the AMD Opteron X3421 powered HPE ProLiant MicroServer Gen10, for example, the inexpensive CPU options in the Dell EMC PowerEdge T140 handily beat that solution. Each frequency step up on different SKUs is accompanied by increased performance. We urge our readers to take the performance data we have and compare it to the incremental pricing in the configurator to make their purchasing decision. Next, we are going to look at the Dell EMC PowerEdge T140 power consumption before finishing off with the STH Server Spider, and our final words.